Leadership Archives - An Opportunity to Celebrate Life! I am heading off to work with the Mustangs. I find myself excited and curious. The stories I have heard from earlier classes create some uncertainty. Yet as I reflect on my intention I find I settle. I am NOT heading into this to tame a mustang. I am NOT seeking to become a horse whisperer. I AM seeking to discover how I can settle inside myself. Let go of my attachment to outcomes without letting go of imagining and dreaming. Than discovering how to quiet my mind. I imagine I will judge myself. I imagine I will frighten myself. I imagine I will challenge myself. Knowing I can listen and hear the music. I can step back and observe. Yes, these are some of my desires. I want to learn lessons from the masters. So I wrote the intentions above on my way to the workshop. Now coming home I look back and smile. I have a felt sense of having reached for and lived my intentions fully! I was willing to step into vulnerability and notice when a wave of reaction or separation rose to the surface. I didn’t flinch or run, but dropped in and felt. I worked to share, as best I could, through the awkwardness of my words, my message. I noticed the moments when that message was received or responded too with something different in return. I didn’t lose myself in the feedback. I listened. I received. I remained sane and open to what did fit and what didn’t. This lesson came through so clearly from Petey, the most wild one. He was the mustang that presented with what seemed to be deeply held patterns of fear and uncertainty. He was the one that presented with the greatest resistance to touch or connection. He’d nip or bite at his dearest companion, the one who knew him best, Max. He’d tuck down and move rapidly to avoid our hands. When touched he’d come out bucking and kicking. Yet with a break and time to release the fear and anxiety, he’d turn and follow Max back in for more. Finally, he discovered the comfort of touch and relaxed. Until the next morning and the waves of his uncertainty came again. Only this time not quite as strongly or for as long. In so many ways his willingness and curiosity was inspiring. I found myself more willing to trust and open. Knowing that there was nothing to be fixed or that I had to do right but that I could keep working at my pace. Some would not understand why some lessons didn’t stick – but some would and more importantly I would, showing compassion and kindness for myself, staying vulnerable. Petey taught me to be okay in just showing up. Far from perfect. Not right. Real. Max, on the other hand, was one of those beings who stepped into the moment and with each new door opening, stepped in. I imagine he will find his person and forever home first. That relationship is likely to come more rapidly and easily. Yet, his journey was not less filled with trauma. He simply let go with more grace and ease. I have often longed to be like Max. Yet I found my mirror in Petey. Trust still does not come easy. However, trust does come. I believe Petey will also find a home, though it is not a given. That is part of the work, getting these wild mustangs to a place where they can find a home and continue this work of building relationships. This does require someone who is able to keep the training going. I hope it will someone with the heart and patience of trainers like Koelle and Kasia. I do believe he will be okay. He has a willingness to show up and someone will see that potential even through the waves of resistance, fear and uncertainty. One night, I had a dream I was riding Petey. The dream was so vivd and real. I could feel the quiver, the power and the wild heart and spirit. I also felt my own heart beating in return. We all have our journey. Some are more turbulent than others. My greater goal is to live with an open-heart – that may indeed be a cracked open heart – I’ll take the scars and I’ll relish when the light shines through. Just like Petey. 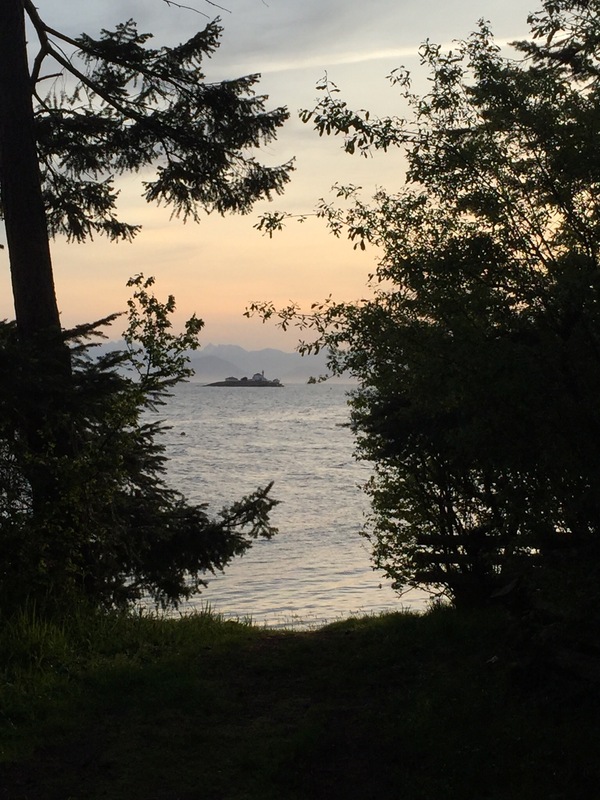 I’m at the halfway point in the Living Alive Phase 1 program on Gabriola and enjoying a break. This is always a great time to reflect on what I’ve be learning and discovering during this 26 day journey. Probably for me, one of the biggest joys has been in witnessing a group of people with diverse backgrounds, ages and stories – come together and be so willing to embrace each experience and support each other along the way. Sure there have been some moments when I have wondered if someone will hang in or come back when it’s been too much or something deep has been stirred. However, I haven’t found myself losing faith in the process or the more importantly the person! I like that I haven’t found myself pushing or thinking – “They have to get this NOW!!”. Somewhere along the road of my own journey, I have become less anxious when I don’t have control or the contact I might want with someone. I have less need to get them on the path I think is best and so have more willingness to let someone do their own thing while I am simply maintaining my location. I’m thinking a lot of my willingness to stay located inside myself and less focused on an agenda for others comes from my work with the horses. I think watching and learning from the herd has helped me trust the connections even when there’s distance or differences that appear to be big. I settle knowing the best path through a storm is to maintain my own location and be a beacon, the mare – not pushing or pulling but present and aware. So far I find myself being less concerned about making sure everyone ‘gets it’ – whatever ‘it’ is – and instead tracking my willingness to be open, curious and clear. I’m not there all the time, but much more than in the past. As a result, I find myself much more joyful and open-hearted. Who knows what will be stirring as we step into Part B.
I do love this program because it such a wonderful opportunity to settle in and discover. Discover patterns. Discover new choices. Become more comfortable in my own discomfort and/or uncertainty. Some may wonder, as a leader shouldn’t I be more certain about what might come next. I know enough to provide the playing field, the boundaries and a path. I also know enough now to let the each person’s journey unfold from there. Just wrapped up our in-person day with the ESG (Education Steering Group) at The Haven. Was a very productive day as usual. As is often the case, we spent a good portion of our time looking at programs and educational direction. However, one piece that came up and I am really excited about working on going forward, is emphasizing putting action foreground in The Haven models. Well we spend lots of time focusing on program content and what happens at the Haven. We got to talking this time about how could we start talking as much about what happens next! Meaning how do people take action with their learning and experiences at Haven. Haven really isn’t just a center for personal development. It’s a center for self-responsible relational living and that has a lot more to do with how people live their learning than just how they get it!! I know for myself. I love coming to The Haven and taking a program or connecting with friends. But really what I love and value most about The Haven is how I have transformed my life, my relationships and my world outside of The Haven as a result of engaging in the programs and living that learning when I left!!! For me, I changed my relationship to my cancer and my relationship to the medical model. As my health changed, I focused on building relationships that were based in open, honest dialogue. This has lead me to leadership at The Haven but also out in the world with my work and life partner CrisMarie through thrive! I transformed my relationship to my family, where for years we did not speak, Now we have deep connections based on who we each are as people. All of this came from learning about self-responsible relational living and taking action!! I think sometimes I can forget to talk about just how important the action part of the Communication model and the Selves Model really is! Sometimes in a program, I may not talk enough about what comes next. I know I do usually mention my favorite motto: It’s not what you do – but what you do next. For me that motto is immediate and intentional in regards to taking whatever I learn into what I do next! When people ask me, what does the Haven offer. I often answer with information about the programs and that may be the intent in the question. But really what Haven offers is so much more than the program. 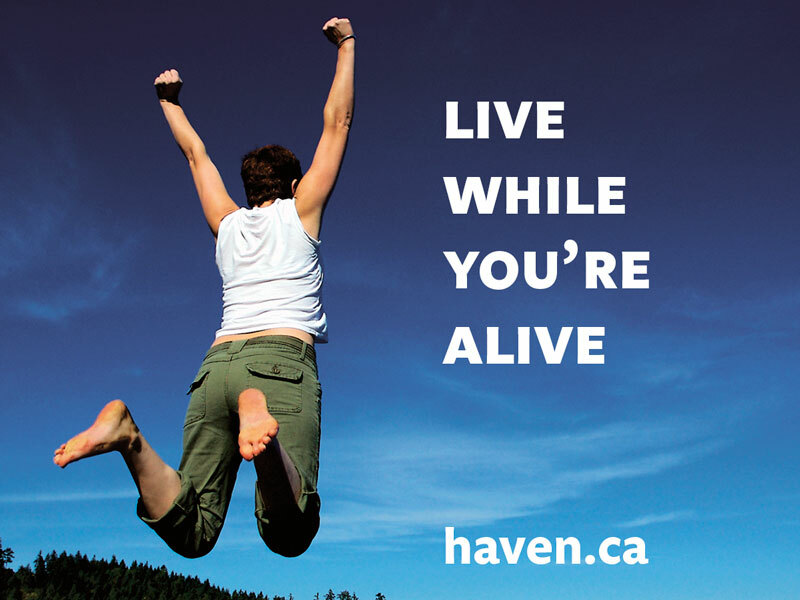 Haven offered me a choice in how to live my life and face whatever came my way by responding – not just reacting. Now I don’t always do that! But I do get I have a choice! Sure I still make a choice to react, to blame, to self-hate …. the list goes on. However what The Haven offered me was the opportunity to fully own my choices and basically with that comes freedom. My relationship to myself and to the world around me becomes something else entirely when I really get the meaning of that!! Indeed the programs at The Haven are amazing but what is really even more amazing is what the people who have come through the Haven have done next! I do believe those stories are worth sharing. Those stories are about how Haven is changing the world. Tell me – how did you take action with what you learned at The Haven! What did you do next!! How have you changed the world through self-responsible relational living! 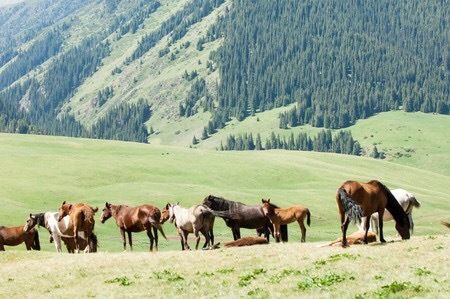 Also check out my new Leadership Mojo Intensives – Equus Coaching in Montana! 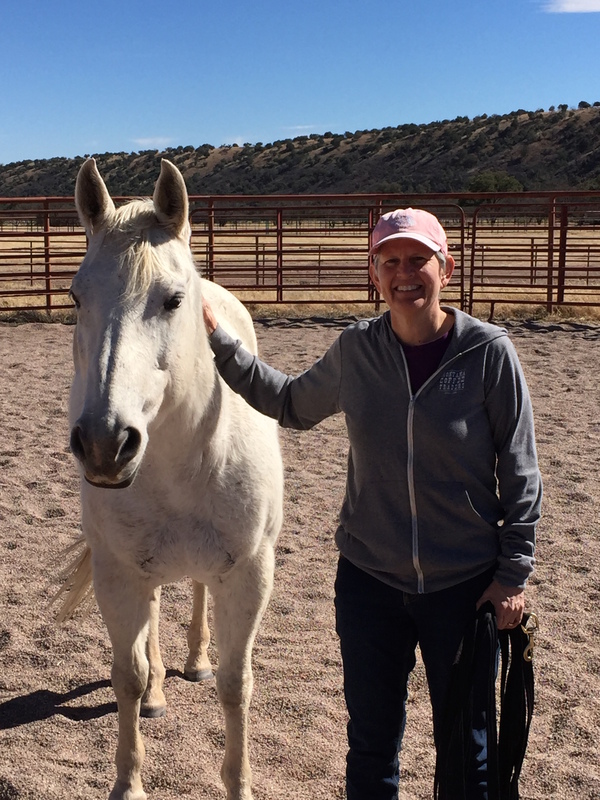 That’s what I shared as my intention introducing myself to the circle of Koelle Institute of Equus coaches and coaches-in training at the practicum taking place at Apache Springs, AZ last weekend. Most of those gathered were there to fill in their learning gaps and get ready for their certification review. I am already certified and could be promoting and working as an Equus Coach right here in Montana. Instead, I continue to practice, volunteer at other Equus coaches workshops, and see clients for free. I tell myself, this is because of my fear of horses, but that was true two years ago, not today. 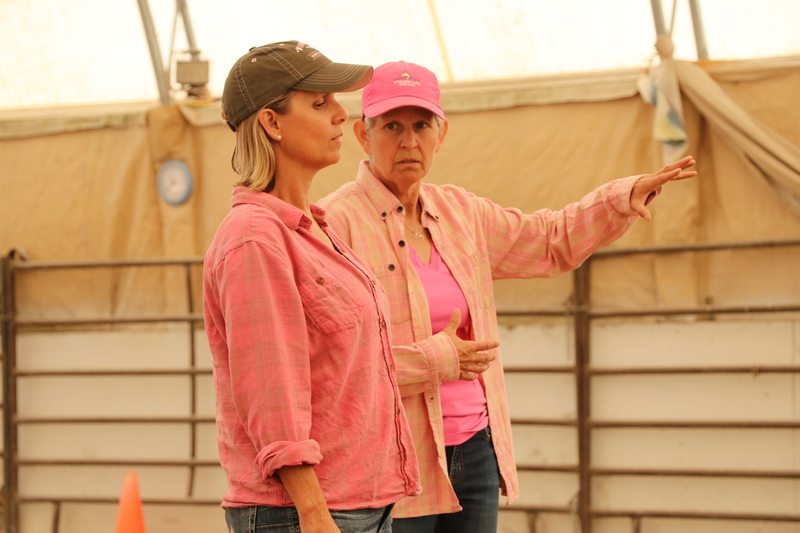 Yes, I still can spook myself when I am out there demonstrating some of the possible ways to interact and play with a horse, or when I see someone not be sensitive when they move in too close behind the horse. I tell myself, I need to get beyond my fears before I really launch my own Equus Coaching practice. But let’s be completely frank, this spooking business is a well-worn habit of mine. I remember, over twenty-fives years ago, stepping in to lead my first Come Alive at The Haven. I was scared – terrified – on the inside! No horses there – just me and my fear of stepping into leadership! But I did it and have been doing it ever since. Even with all that leading under-my-belt, I can still at times feel that doubt and/or fear rise to the surface before the start of a Come Alive or Living Alive Phase Program. However, I have learned to acknowledge and work with my fear and self-doubt, not wait for the fear to be gone. No, my path is to acknowledge that place of self-doubt and lead anyway! In many respects I actually like that place of vulnerability and uncertainty. I am more real and transparent when I work from that space. Still, there are times when I wish I was always confident and had no doubts about leadership or what I have to offer as a person or as a coach. However, that would just be hubris and frankly not very effective. Mastery is about riding the waves of my fluctuating self-confidence, having faith in both my own inner knowing and faith in not knowing and allowing the universe, my soul, to guide me. I am best when I am transparent and acknowledge what I am really thinking and feeling – and sometimes that is the underlying fear and sometimes it is an inner sense of knowing and presence. It’s in the willingness to acknowledge both that I often discover I am not alone. In other words, I connect deeply to the world around me. When I come from a place of hubris or over-confidence that connection is not there, instead, I am relying on what I know – not tapping into the greater resources of the universe! The same is true when I deny my abilities or wisdom as a coach or leader. Both ways I shut my connection to the energy from my soul, the universe. But back to finding my mojo and bringing my work home to Montana. Sure, I could wait until I become consistently comfortable and confident around horses. I could see if my confidence could rise and carry me out into the world as an expert coach and equine facilitator. However, that might take a little too long, and frankly, that’s all ego and has very little to do with what becomes possible when I don’t have to be perfect. In fact, I just have to show up; vulnerable and real. The real me, a horse, and another person are quite enough for ensuring that transformation and magic can happen. With that said, I am opening my Equus coaching practice here in Montana. I’d love to work with you. If you live here great, it will easy. 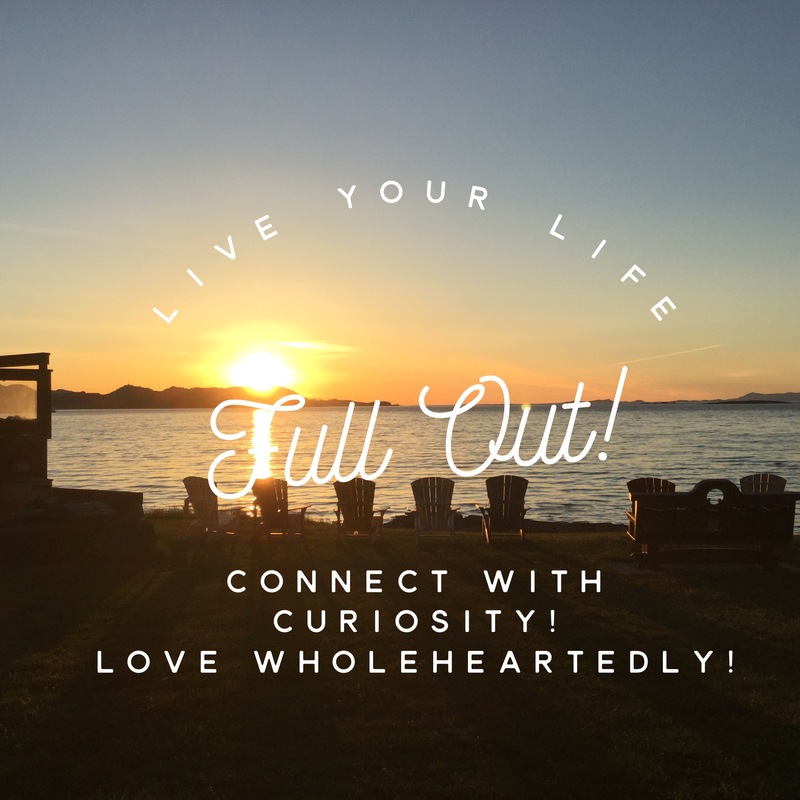 If you don’t, well I am offering Leadership Mojo Intensives and those will involve horses and other ways of mastering your connection to yourself and the world around you. If you aren’t too sure about me and horses – well come to Haven and join me for a Come Alive or Living Alive Phase Program. I think you’ll be wanting more! I’m ready. I’m may still have moments of fear and I have my mojo. Come discover yours and even if you discover it’s not that perfect, confident version of leader you might like – just know that the real gold is in the soft spots – it’s where you discover the power in connection! What you may not know, leading is never a solo experience! Many years ago my friend, Susa Holt, told me I had to meet CrisMarie Campbell, an Olympic rower. I could hardly wait to hear first hand what it was like to be an Olympian! I was a bit stunned. I know all to well how our heroes are often the masters of self-hate! Fortunately, I met her as she was just heading into a Come Alive, and I figured this was a ripe area for her to do some great work. She did. Over the years, I have been a witness to CrisMarie’s reclaiming her Olympian. She now uses her rowing stories as great examples of the difference between simply a boat of champions, the 1988 Olympic boat, and a Championship team, the 1987 World Champion silver medal boat. Today is a new chapter. Her collegiate and national team coach made the headlines this month. His long tenure at the University of Washington ended when the current team of rowers challenged his leadership style. CrisMarie caught the news and wanted to reach out to the rowers. The headlines presented a story line that seemed to imply the biggest issue was “an age gap” between the coach and his rowers. The paper even went so far as to imply may be the rowers were pampered. Really? Well, CrisMarie had a long history with Bob and wasn’t about to stay silent. She wrote an opinion letter to the sports editor of the Seattle Times. He opted not to publish it. I like that CrisMarie spoke up. I like that she reflected both the brilliance AND the iron-fisted misuse of power that is all to often called leadership. Mostly I love that she challenged the real issue, Bob did not want feedback and that is simply not leadership. Below is her opinion. It is one woman’s story and perspective. Regular readers know, that I am a big believer that there is never one side to any story. However, I also believe silence in the face of popularity and power are deadly in so many ways. I am compelled to speak because of the apparent prevailing opinion that Bob Ernst was an excellent coach who deserved a better send off. No doubt Bob made Washington rowing more successful; however, as a leader of people, he failed. First let me speak to my own direct experience with Bob. I rowed at Washington from 1982-1986, won the ’84 and ‘85 National Championships, and was the ’85 stroke and Team Captain. I went on to a silver medal win at the 1987 World Championships and then to the 1988 Olympics – all with Bob as my coach. I was, by many people’s standards, a winning rower. I was strong, smart, disciplined and hard-working. I credit Bob with making me a successful rower. Bob is brilliant and was a revolutionary rowing coach– but not because of his leadership style. While he advanced Washington and Women’s Rowing, both at the collegiate and national level, Bob was not an effective leader of people. In my six years of rowing, I only lost two official competitive races, and yet I walked away feeling like a loser. Why is that? My experience with Bob was that I was only as good as my latest win on the water. His strategy included blaming rowers for losses, and when we did lose, treating us, I felt, as unworthy human beings. He also used ultimatums to drive compliance. When I injured my back training for the Olympics I considered missing one practice of our regular “two-a-day” sessions. Bob yelled: “either she’s in the boat every day or she’s not in the boat at all!” I got in the boat. While the choice to get in that boat was mine, it is important to underscore the power a coach has over team members to make them perform. And when we lost at the Olympics he blamed me for losing the race by getting in the boat with injuries. Really? His pronouncement of blame was demoralizing in 1988, and I was shocked to hear him repeat it ten years later. When a coach or leader devalues the team his power becomes abusive and the coach ceases to lead. As a result of my experience with Bob, I have dedicated my career to helping business leaders produce high performing teams that are both smart (“winning”) and healthy (people matter). Team success is often a result of the leader’s willingness to step out of the “command and control” style and get feedback from the team. This drives team engagement and better team results long-term. In reading the details of what transpired with Bob and the team, he seemed unwilling to be either vulnerable or curious with the team. Bob could not find a way to use the conflict to create a better outcome both for the team and himself. It wasn’t the job of the UW Administrators to do that, it was his job as a leader. Marlow Mizera, the coxswain who spoke up to Bob, is a hero of mine. She is a leader. She had the courage to stand up to the most powerful coach in Washington Rowing. These women wanted to give their coach feedback on the impact of his style; they wanted to work with him. Unfortunately, he was unwilling to lean in and hear the feedback, which is sad. They did something I wish I could have done 30 years ago. This is not about an age gap between Bob and the new generation of rowers. This issue has gone on a long time – it’s about confusing iron-fisted power with leadership. I do wonder if Bob had been willing to hang in, hear, and honor some honest feedback, whether he and the team could have turned this conflict into a win for both him and the Washington Women Rowers. 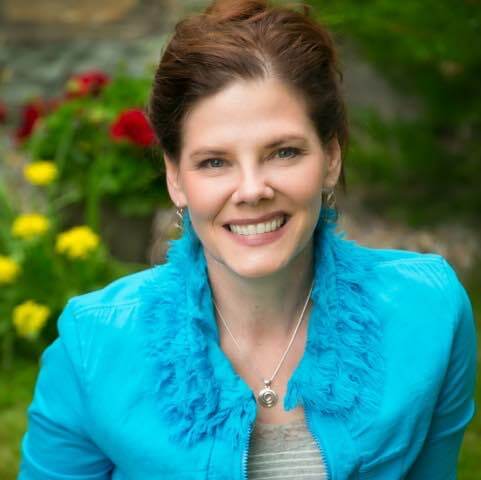 CrisMarie (aka Chris) Campbell Co-founder of thrive! inc., works with leaders and their teams to transform conflict into innovative results. Her TEDx Talk is: Conflict – Use It, Don’t Defuse It!